Services and the communities that provide them. We list the closest towns first followed by those most distant. When available, we have provided links to the online community directories. 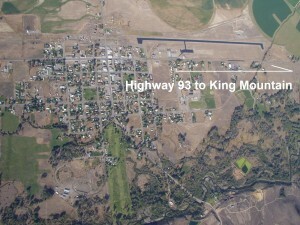 3.5 miles southwest of the Glider Park on Highway 93. Moore is a friendly small rural town with some limited services including a Gas Station, Post Office, Church, Fire Department, and a nice little City Park. 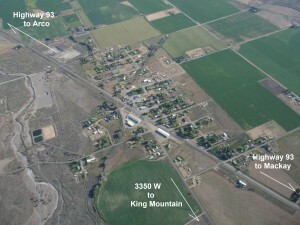 King Mountain Supply in Moore, Idaho has Gas and Diesel and can do some auto and truck repairs. In addition they have a very small convenience store with beer, ice, limited food, and other outdoor supplies and hardware. 10.5 miles south of the Glider Park on Highway 93. Arco is the Butte County Seat with most services available, including RV Parks, Motels, a few Restaurants, a Grocery Store, and a Hardware Store. Arco also has Public Services including the Sheriff’s office and a Hospital. Arco has an Airport with a 6600 foot paved and lighted runway with instrument approach, self serve 100LL and Jet fuel. The Arco airport it just 7 air miles south of the Glider Park. 17 Miles North of King Mountain on Highway 93. Mackay is an old mining town with a lovely little 9 hole Golf Course, RV Parks, a few Restaurants and some Basic Services. Mackay has a lighted and paved runway with no fuel available. A world class resort area with restaurants, shops, art galleries, recreation including skiing and golf, and many other cultural activities. 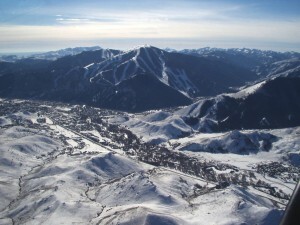 There are a couple of ways to drive to Sun Valley. Both require about 90 minutes. 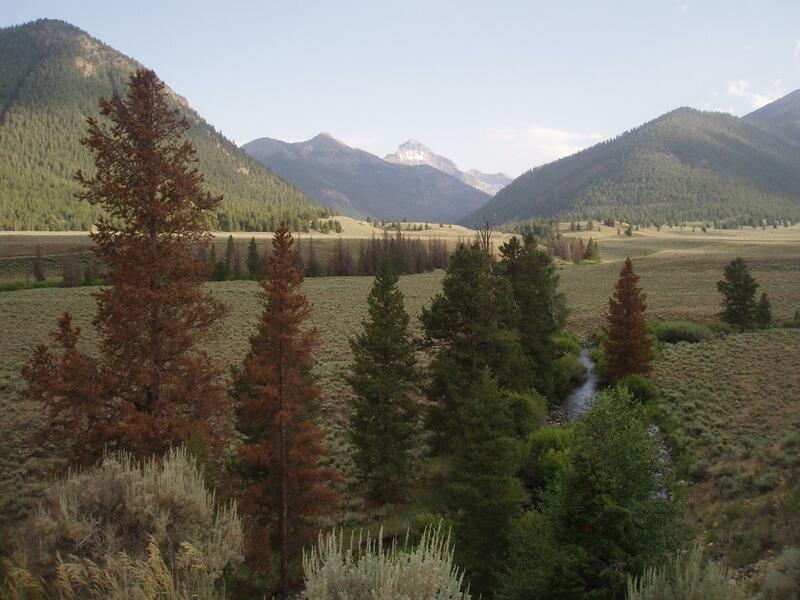 A summer time favorite is to the north via Highway 93 past the Mackay Reservoir and then turn westbound onto the Trail Creek Road. Don’t forget your fishing pole. The road soon turns to gravel and then leads over the Trail Pass Summit and down a beautiful glacial basin and directly into Sun Valley. The other route to Sun Valley is paved all of the way. 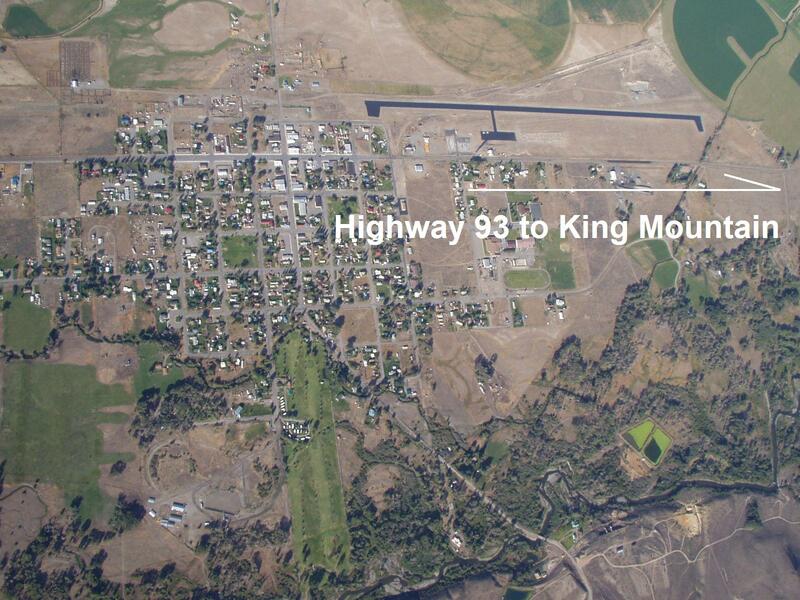 Go south on Highway 93 to Arco, then southwest on Highway 20 past the rugged Craters of the Moon. 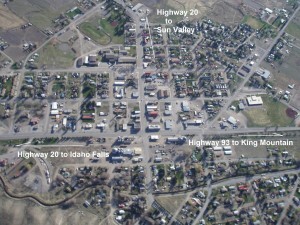 Continue on Highway 20 past the little towns of Carey and Picabo, More fly fishing along the way at famous Silver Creek. 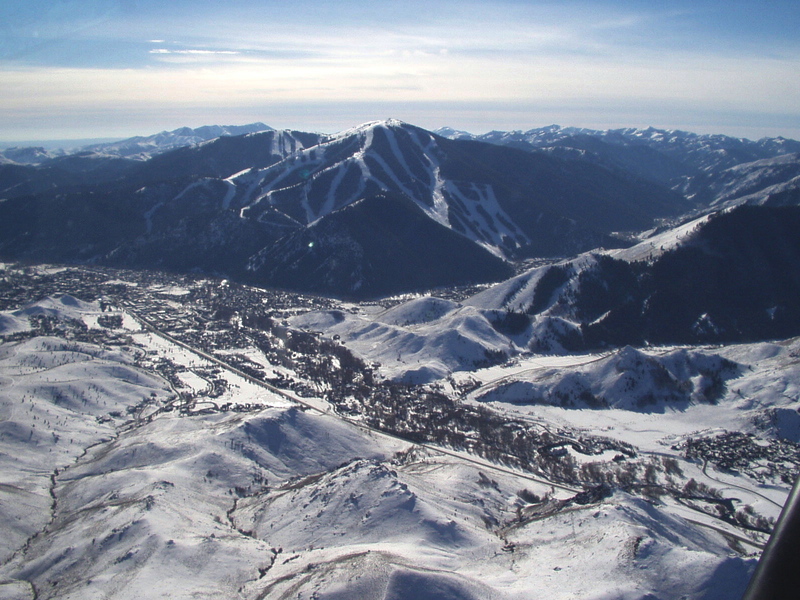 and then north into Hailey, Ketchum and Sun Valley via highway 75. 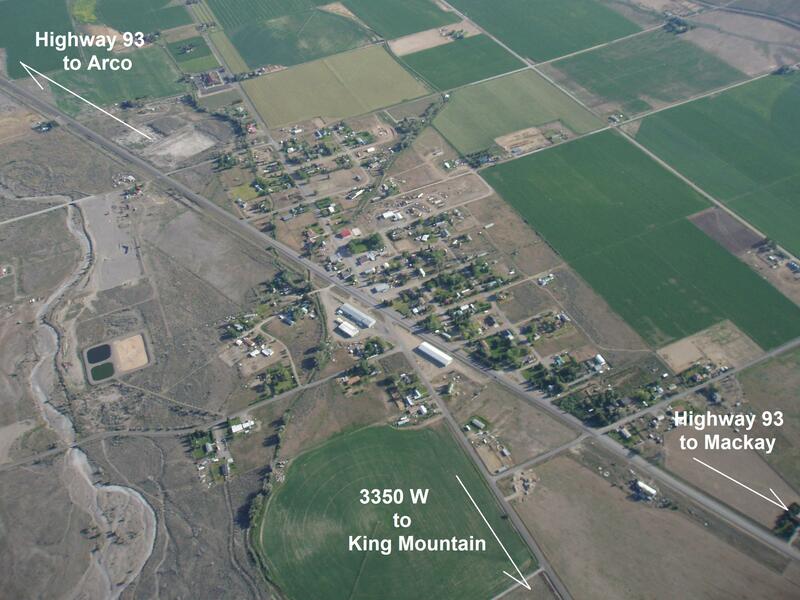 Located just 10 miles south of Sun Valley and just 40 air miles west of the Glider Park, Hailey has a tower controlled, lighted and paved 6,600 foot runway with instrument approach, 100 LL, Jet Fuel, and Rental Cars. 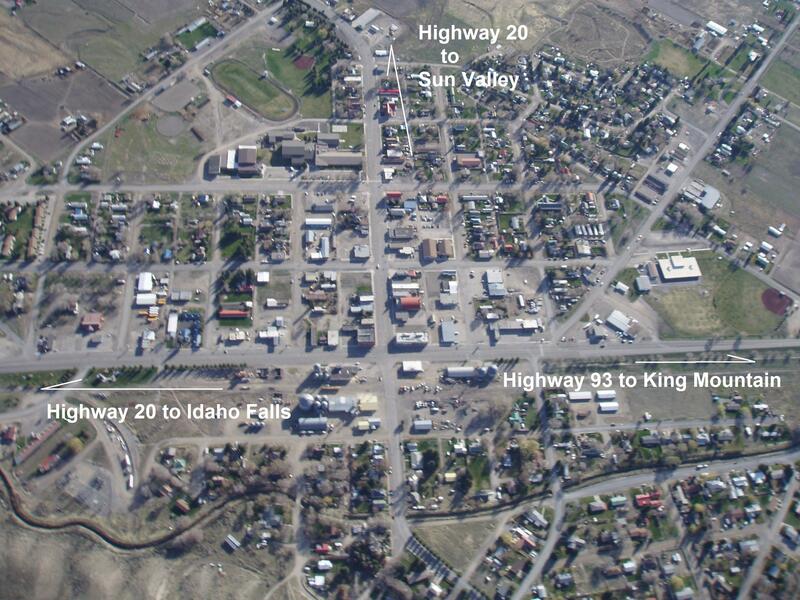 Largest city in eastern Idaho. 90 minutes east of the Park on Highway 20. Idaho Falls has Rental Cars, and a Regional Medical Center. State Capitol, located 200 road miles west of the Glider Park or about 3 ½ hours by car. Boise has connections to all major cities in the United States.